You love a Matratex slatted bed base, but want a box spring-look, then Matratex has the perfect solution. 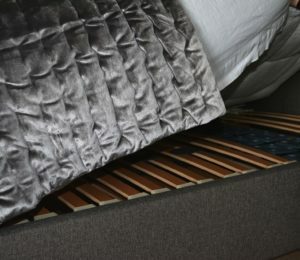 Our ‘ Tribeca ‘ is specially made to turn your slatted bed frame into a real divan bed. 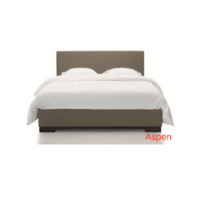 You can use both our fixed, manually adjustable or electric base in our bed frame. 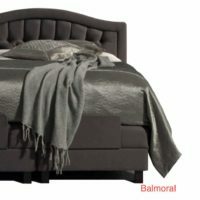 The bed frame is made of a wooden frame covered with fabric or a leather look. You can choose from a range of 40 colours in fabric, and 10 different kinds of leather look. 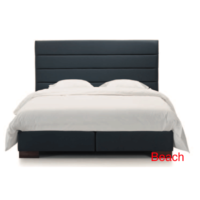 You can add a matching head board, a foot bench and bedside tables to your box spring. Matratex has a proper solution for all your sleeping habits. 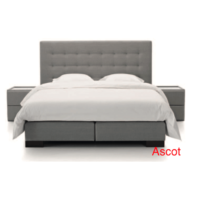 Our box spring (also known as hotel bed or divan) is specially adapted to our mattresses. A box spring is a comfortable bed that fits wonderfully in each and every bedroom because it exclusively uses fabrics instead of wood. Whichever style you prefer … the box spring can always be used. 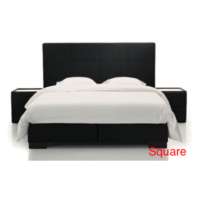 The word box spring roughly describes what it literally is, “a box with springs”. The box spring consists of a wooden MDF carrier equipped with a pocket suspension with 250 springs per square meter, covered with a layer of cold foam, cotton wool felt and horse hair. 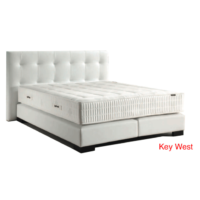 Because of the feather interior of the box spring, there is amazing air circulation in the box spring which means it benefits from an excellent moisture regulation. Condensation and mildew don’t stand a chance. On top of that, the pocket suspension interior promises a sustainable and responsible sleeping comfort. 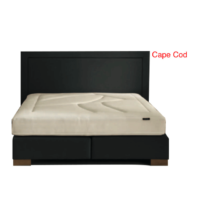 Our Astropurmattress is suitable for all bases, this is an ideal combination with a box spring as well. In addition, we also have the classic indoor or pocket spring mattresses. We will be happy to help you make the right choice in our showroom. 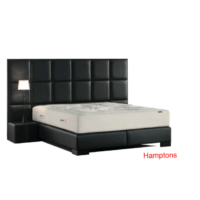 You can customize the box spring with an accompanying head and/or foot board, a matching blanket chest and pouffe tables (night tables). 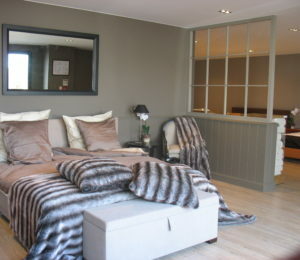 The headboards are available in several versions. 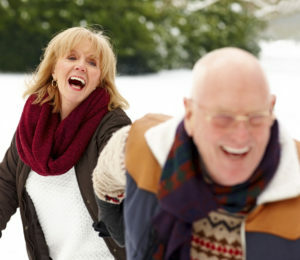 You have the choose furniture fabric (anti-stain and water-repellent), leather look (which is very easy to maintain) or any other fabric you prefer. And all of this is executable in a wide range of colors. 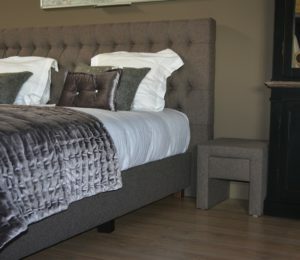 Our box spring beds are manufactured entirely by hand in our own workshop. By only using high quality natural materials and finishing it in the traditional way we can guarantee a flawless finish. 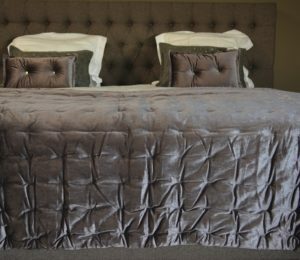 Examples of creations by Matratex Bedding.